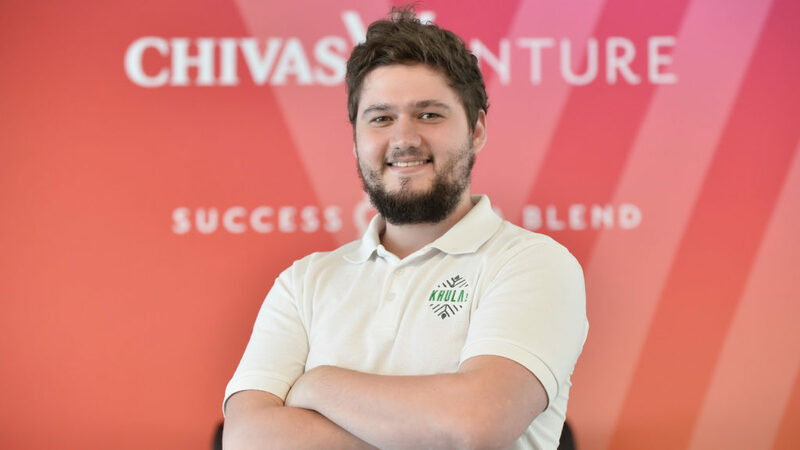 SA startup Khula has come out tops at the Chivas Venture 2019 SA final in Cape Town and has won a chance to go to London to participate in Chivas Venture’s accelerator programme — and win up to $1-million in funding. The startup, which is based in Johannesburg, was founded by Matthew Piper (pictured above) and Karidas Tshintsholo in 2016. The duo’s app helps connect small scale farmers to the formal market. Piper and Tshintsholo will in March join 19 other finalist teams from around the world in the UK for an exclusive week-long accelerator programme hosted by London-based social change platform The Conduit. The pair will then stand a chance to win $100 000 if they come out tops in an online poll which will be open to the public for three weeks during April. Thereafter on 9 May the pair — along with other finalists — will participate in a series of high-stake pitches at the global final in Amsterdam at The Next Web Conference, where they will battle it out for the remainder of the $1-million. At last night’s event a panel of judges — that included Rlabs founder and social entrepreneur Marlon Parker, Mikateko Media co-founder Ingrid Jones, Kykknet talk show co-host Tussen Ons and Pernod Ricard marketing manager Eugene Lenford — selected the winner. Four other startups pitched at the event. They were Aegis Environmental, Mpower Menstrual Cups, Blue Avocardo Investments and Kgosana NP Holdings. Khula’s app effectively creates “one big virtual farm” consisting of multiple emerging farms to crowd-source and deliver on bulk orders from supermarkets, restaurant chains and for home delivery. The full software suite includes an ecommerce web platform where clients place orders from farmers, and an on-demand logistics solution that allows independent contractors to complete deliveries. In a statement today (24 January), Piper said winning the SA leg of the competition moves the startup closer to its goal of expanding and growing the platform in Africa. “We have seen impressive growth since launching in 2017 with close to 2000 farmers registered on the app. “Winning in the global stages will allow us to fund a dedicated IT team to accelerate the vetting of farmers who are on the system but have not been quality assessed, the model relies heavily on trust,” he added. Piper believes the global final will also help Khula gain exposure and that he and Tshintsholo will have the opportunity to “tap into some great minds” during their week in London. In October last year Khula won the grand prize as well as the Best Agriculture Solution category at the 2018 MTN Business App of the Year Awards. In the 2017 competition, SA water startup I-Drop was placed third in the global finals with founder James Steere walking away with close to R1-million in funding.